Don't hesitate to contact us by email or call us on +33 (0) 3 85 40 55 50 right now to book your next river cruise in Poland. Poland is not the only area available with alpha-croisiere.com. Discover all the other destinations of river cruise that we can rent you. Rent with alpha-croisiere.com your boating holidays to enjoy one of our river and canal boats on Polish waterways. We offer the largest selection of barges on the market. 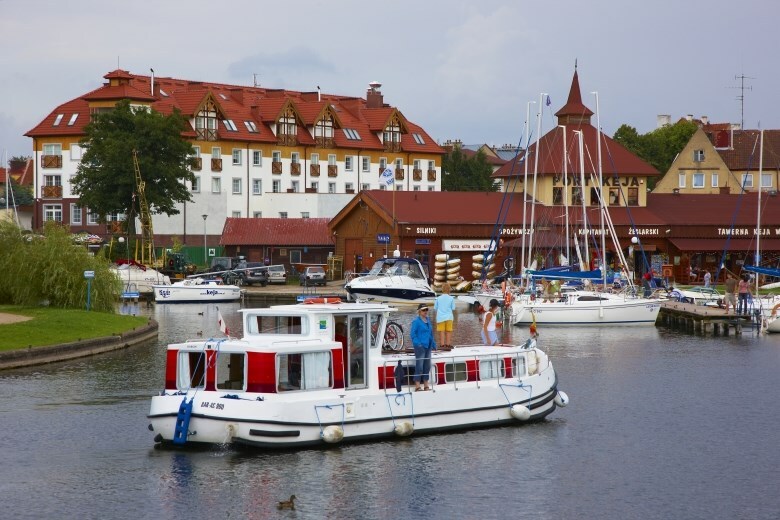 Consult the list of all our river and canal boats available in Poland to find the most suitable for you and contact us for more information. 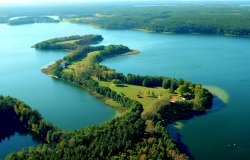 Your voyage will take you across the great Mazurian Lakes, although the Mazury region is actually home to some 3,000 lakes connected to one another by means of a series of rivers and canals - a real paradise for amateur sailors who are not keen on locks, since you'll only come across two, at most, during your entire cruise. With its 4,000 lakes set amid the forests, the Mazury is also home to an abundance of flora and fauna, and in addition to the usual grey herons and swans, you will also find beavers, deer, wild boar and bison here, perhaps even the odd wolf or lynx! You can get to Mikolajki by air via Warsaw (260km), by rail (the station is 2km from the centre) or simply by car. 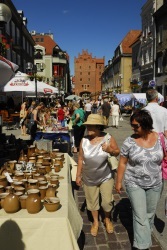 The Polish people are very hospitable and welcoming towards foreigners visiting their country. The Polish culture is rich in a wide variety of music and art, so your stay is sure to coincide with a number of festivals and concerts. The region's turbulent past has certainly left its mark, from the ruins of Teutonic fortified castles to the 19th-Century Boyen fortress and even the Wolf's Lair of the army of the Third Reich. You will set sail from Mikolajki, the 'pearl of the Mazury', which has only 4,000 inhabitants but becomes a major tourist hub teeming with life during the summer months, when its port is filled with sailing boats. The marine village hosts a variety of cultural events, such as the Sea Shanty Festival, and most importantly a great many yacht races. Even if nature is more your thing than beer and sea shanties, immersing yourself in the local culture is sure to make a pleasant change. Famous for its 19th-Century Boyen fortress spanning nearly a hundred hectares and its 5m-high, 3.3km-long city wall, Gizycko also boasts a large number of churches and a Teutonic castle that are open to visitors. 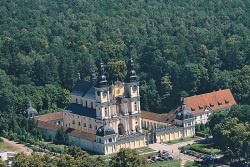 The areas surrounding the small towns of Pisz, Worgorzeno, Ryn and Wegorzewo, which lie between forests and lakes populated by a great deal of impressive wildlife, are home to an abundance of Gothic-style churches and castles built by the Teutonic knights that once reigned over these lands.